I ran into Republican pollster Frank Luntz at the HBO party after the Emmy ceremony at the sprawling Pacific Design Center. A few feet away, “Veep” winner Julia Louis-Dreyfus was fending off a crush of well-wishers while HBO chief Richard Plepler had just come from finding his lost cellphone. What’s going to happen? a group of eager Hollywood acolytes wanted Luntz to tell them. Would Hillary Clinton manage a win? Luntz was wearing a burgundy vest and his signature Prince Valiant hairstyle, and shook his head sagely. “She’s going to win, but I can’t say anymore that it’s for certain,” he said. 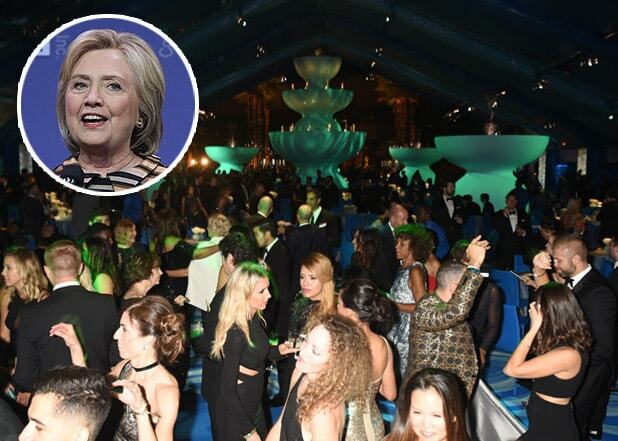 But offstage, Hillary Panic was rife at the pre- and post-Emmy parties, where Hollywood usually dresses up to celebrate television. This year, many Hillary supporters were seized by election nerves. MSNBC anchor Lawrence O’Donnell was solicited for his opinions left and right. O’Donnell said he has sensed a profound disconnect between mainstream media and the electorate, which is why reporting on Donald Trump’s lies, his charitable non-donations, his debt-dodging bankruptcies, his holding back his tax returns, seems to have little impact. And he noted that historically Clinton does not recover from downward slides in her polling numbers. “She’s going to have to break her pattern,” he observed. But O’Donnell wasn’t the only one who was thinking and talking about the election. Pretty much everybody was. 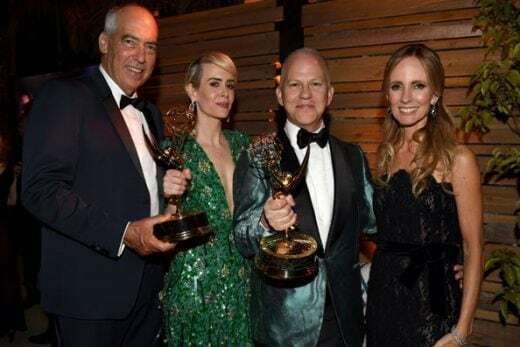 Robin Bronk of the Creative Coalition, producer Mike Medavoy, a longtime Democratic supporter – outgoing TV Academy president Bruce Rosenblum, actors who should’ve been thinking about their nominations. Politics was unavoidable. “American Crime” show runner John Ridley rubbed elbows at the Showtime party on Saturday night with Senatorial candidate Kamala Harris, in a tight race in California with Loretta Sanchez. Luntz told HBO partygoers that Hollywood Democrats are out of touch with the rest of the country.